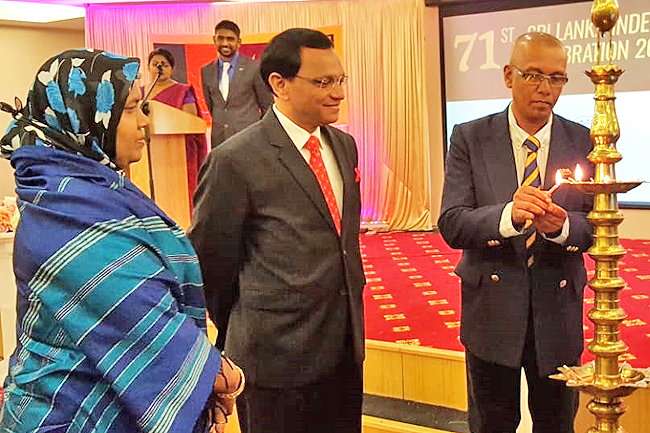 THE Sri Lanka High Commission in Singapore, also concurrently accredited to Brunei Darussalam, together with the Sri Lanka Association in Brunei Darussalam (SLABD) organised Sri Lanka’s 71st Independence Day celebrations in Brunei Darussalam on February 23. 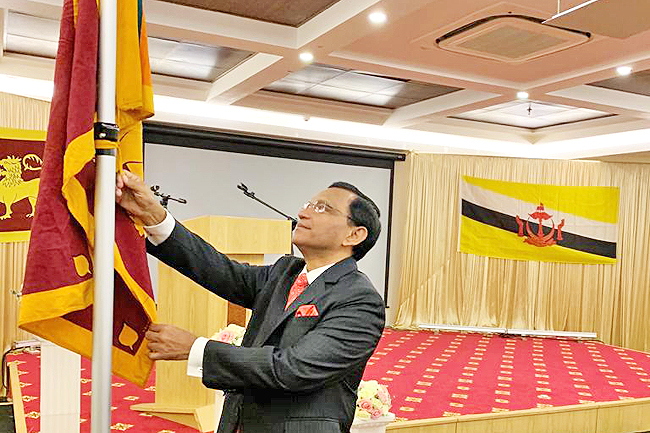 According to a press release, the ceremony commenced with the hoisting of the national flag by non-resident Acting High Commissioner Omar Lebbe Ameer Ajwad and the singing of the national anthem in both Sinhala and Tamil languages. This was followed by a two-minute silence in remembrance of all who sacrificed their lives for the country’s independence, sovereignty and prosperity. The traditional oil lamp was lit by Ameer Ajwad, President of the SLABD IM Ranasinghe, Honorary Secretary P Tehan Gunathilaka and Executive Committee Members of the SLABD. The Independence Day messages of the President, Prime Minister and Minister of Foreign Affairs were also read out to the gathering. 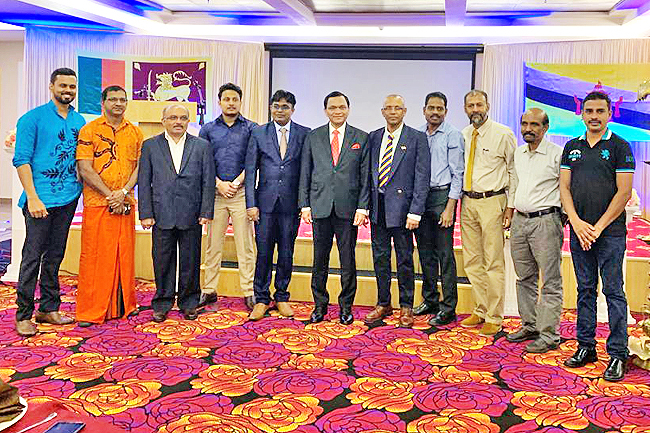 The President of the SLABD delivered a welcome speech while Professor Arosha Namal Senanayake spoke on the importance of the Independence Day. Ameer Ajwad recalled the deeply rooted bilateral relations underpinned by people to people contacts between Sri Lanka and Brunei Darussalam.